You've had the the big wedding and the honeymoon-to-die for... And then what? Your husband leaves his pants on the floor, dirty dishes in the lounge and feet on the table. Get his attention and whip him into action with the Husband Voodoo Doll! 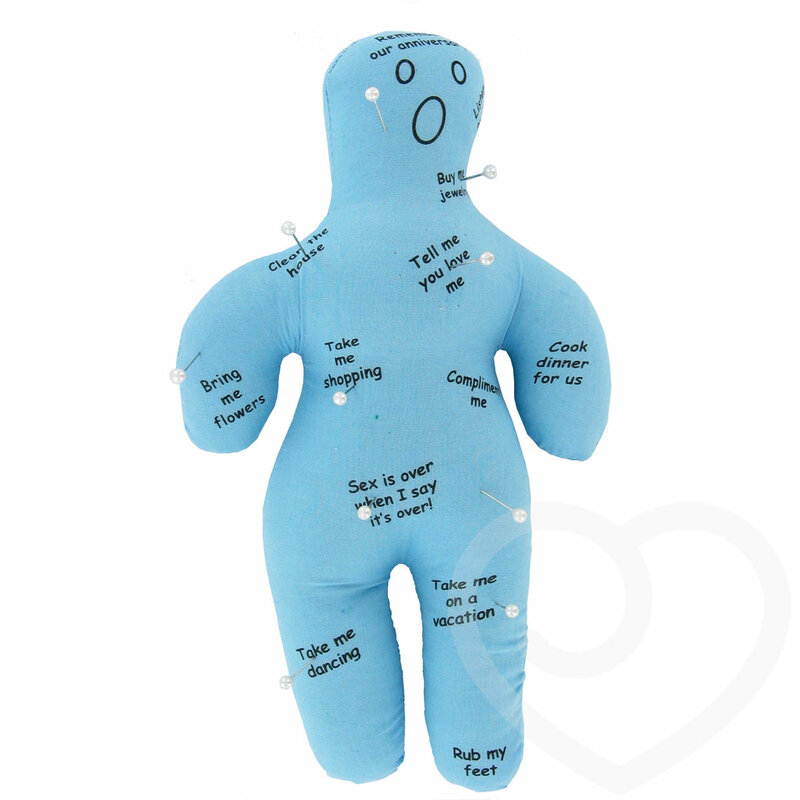 Perfect for any bride-to-be, bride-recently-been or any girl whose other half needs to be better, the Husband Voodoo Doll comes complete with 10 pins. Prick his squidgy body on the instruction you want him to obey, including favourites such as "take me shopping", "bring me flowers" and the classic "run a bath for me". Bought as a present for my new wife along with some other bits and bobs. Gets a good laugh and has a good selection of messages so not overly sexual either. Nicely presented in its box and will get some good use in the future I expect. Wife was very happy with it. Good laugh, excellent present for a new wife. I bought this for my partner as a silly extra present on Valentine's Day. She appreciated the humour of this product, but we were both a bit disappointed to discover that there is a typo! On the back it reads, "Stop acting like an jerk" (as opposed to "a jerk"). It was obviously not a particularly expensive product, but it still seems slightly shoddy! I don't know if this has been corrected since I bought it. Good as silly extra gift. Lack of care and attention in manufacture, but not a big issue.